How to add buttons from “Overlay” section in custom panel? """Creates a Panel in the Object properties window"""
bl_label = "Hello World Panel"
Please help me! What am I doing wrong? I think the problem is trying to add settings for the 3D view outside the 3D view.You can place it in the Sidebar. How to store variable and use it as property in panel? How can I add a custom button to a panel? 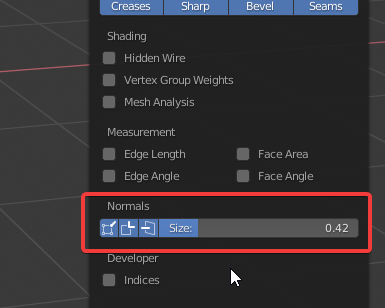 How to add custom color picker in blender material panel?